Jean F. Ressler, 97 of Westfield, passed away June 9, 2018. She was born in Westfield on October 19, 1920, daughter of Wellington and Emma Edwards Powell. Jean married Floyd Ressler on Christmas eve and they settled in as lifetime farmers in Hamilton County. 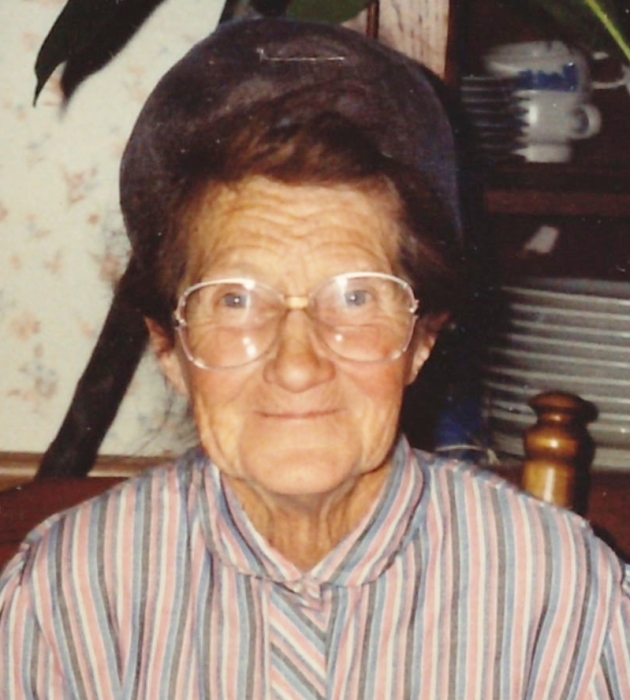 She raised chickens and angus cattle, planted vegetable gardens as well as beautiful flower gardens. Jean drove tractors and the various farm equipment necessary in keeping the farm operating successfully. Even though Jean was small in stature, she was mighty in strength and spirit. She loved her family and will be greatly missed. In addition to her parents, Jean was preceded in death by husband, Floyd Ressler who died in December of 2009. Survivors include her son, Bill (Joy) Ressler; grandchildren, Jeff (Kelly) Ressler, Brian Ressler and Catherine Joyce; great grandchildren, Katrina Ressler, Danielle Ressler (Carlos Rojas) and Alicia Ressler; great-great grandchildren, Makaylah Rojas and Jeremie Rojas. Family and friends will gather on Thursday, June 14, 2018 in Westfield Friends Church, 324 S. Union street, at 11 am where the funeral service will begin at 12 noon. Burial will follow in Summit Lawn cemetery.